The report says that HTC owes several crores to distributors and is facing legal actions due to non-payment of dues and not compensation for the stock in trade pipeline. 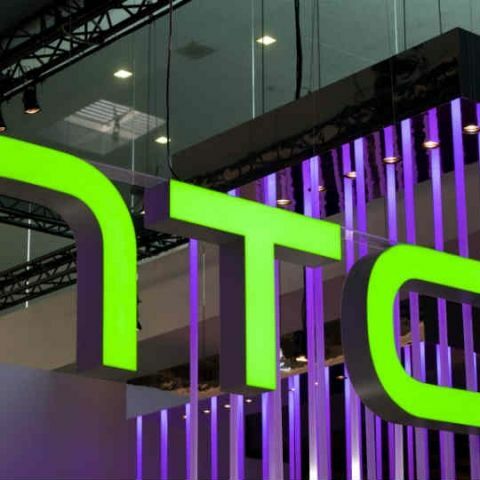 Taiwanese consumer electronics company HTC Corporation is shutting its business in India as the company has asked a major chunk of its country team to quit. As a result, nearly 70 members of the team who handle various operations in the country have resigned from their posts. The list includes country head Faisal Siddiqui, sales head Vijay Balachandran and product head R Nayyar. Company’s chief financial officer in India, Rajeev Tayal, will continue to work with HTC. The company is also reportedly bringing an end to all distribution agreements in the country. According to a report in The Economic Times, the company -- that has less than 1 percent share in India (Counterpoint Research) -- is not looking to completely wrap up the Indian operations and plans to sell virtual reality devices online, while the remaining India business will be controlled from Taiwan. “This will be like an extremely small business,” an executive told the national daily. The report also claimed that the company may re-enter the Indian market as an online-only brand “but only after it’s able to turnaround sales globally as the brand is struggling in several markets.” “As of now, it is quitting,” the executive said. But the situation is bit confusing because an HTC spokesperson told ET that the company will continue to sell its smartphones in the country. The spokesperson said that India is an important market for the Taiwanese giant and it will invest in the country in the right segments and at the right time. “The recent reduction in workforce in the India office is designed to more appropriately reflect local and regional market conditions, and will help HTC more effectively advance into a new stage of growth and innovation. There are still more than ten employees in the India office providing full functionality,” the spokesperson was quoted as saying. If a distributor brand is to believed, HTC is facing legal actions due to non-payment of dues and non compensation of the stock in trade pipeline. “HTC owes money in several crores,” the distributor said. According to the spokesperson, the company is working with channel partners to ensure no disruption on business and service to the customers is caused. Optiemus Group firm MPS Telecom, and Link Telecom have been selling HTC smartphone in the country. Last year, BlackBerry roped in the Delhi-based group to manufacture and sell BlackBerry smartphones in the country and its neighbours. The company recently unveiled HTC U12+ smartphone, which is expected to be the company’s only flagship smartphone for this year. when HTC Desire 820 will launch in India?